The Dilys Award has been given annually since 1992 by IMBA to the mystery titles of the year which the member booksellers have most enjoyed selling. The Dilys Award is named in honor of Dilys Winn, the founder of the first specialty bookseller of mystery books in the United States. 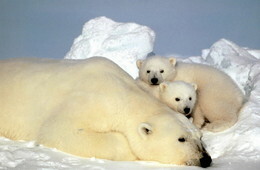 It was 27 degrees below zero when I crawled out from under two down-filled comforters this morning. Among the plusses of weather like this are clear blue sky and crisp air (very crisp). Vision seems endless; light and energy crackle. Mittens get properly tested. I caught up on a few books last week that I'll review over the next few days. While I was in "reading mode," some new lists of award finalists emerged. Dave's been scrambling to restore our holdings of some of them; we were both very pleased to see some of our favorites on the Edgar finalists list. So, here are the finalists for the Edgar Awards, announced last week by the Mytery Writers of America. Winners are announced April 28. There's still a long season to wait until Soho Crime releases David Downing's fourth John Russell thriller, a piercing and multidimensional adventure through the final days of the Third Reich. So there are two actions available right this moment: (1) Reserve a copy of the US first edition hardcover through your indie bookseller or online. (2) Cruise the online sources and pick up the British version, which came out earlier -- but only in paperback -- in the UK. All things considered, and looking also at the very different cover designs for the two sides of the Atlantic, my best advice would be: Do both. 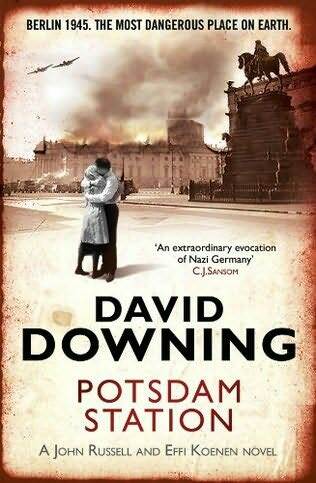 Because there's no question that POTSDAM STATION is a must if you're reading and/or collecting World War II thrillers. And Downing writes of both love and violence within this three-voiced narrative. John Russell, of British and American citizenship, has been forced to leave Germany at the peak of the war in order to survive. His son Paul (with mother and stepfather) has remained behind and enlisted in the German forces. His lover, the film star Effi Koenen, helped make Russell's escape possible and has hidden from the Nazi officers who would have forced her into propaganda (and a form of political prostitution). Effi is still in Berlin, which is now, in this fourth and final volume of the war adventure, caught in the pincer grip of the Allies: the Americans and British approaching from the west, and the Russian forces from the east. With General Eisenhower's decision that the Russians can "have" Berlin, John Russell takes a desperate chance to reach Berlin before the notoriously rapacious forces of the Russians arrive -- he flies to Russia and attempts to become an embedded journalist. However, Russell lands directly into the mess of Russia's lust for the atomic bomb technology that the Germans presumably have discovered. And he's tangled up with men who've been labeled traitors by the Communists. He may spend the rest of the war -- maybe the rest of his life -- in jail. When an alternative arises, it's one that demands immense courage and physical risk. And Effi's assistance to Jewish refugees desperate to leave Germany costs her both home and safety, so that she flees with a young Jewish orphan, Rosa, who rapidly becomes her adopted daughter of the heart. Perhaps most poignant, young Paul, barely of adult age at all, has already lost fellow soldiers and friends to the brutal bombardment of the Eastern Front and is expected to donate his life to the final defense of Berlin against the Russians; should he run from this, he'd be shot as a deserter -- and besides, he has only his honor left. Well, if she had another birthday in May, it would be her thirty-ninth. Which might well be too late, though miracles happened. And then there was Rosa, or whatever her real name was. Effi had only known the girl for ten days, but already found life without her hard to imagine. And there was no one to send her back to. She wondered how John would feel about adopting a daughter. She wasn't sure why, but she felt fairly confident that he'd like the idea. And Paul, if he lived, could be the grown-up brother. The thought brought tears to her eyes. She lay there in the dark, the sleeping girl enfolded in her arms, trying not to sob. 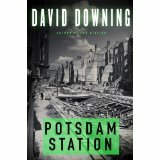 Downing keeps the suspense at fever pitch for more than three hundred pages of wartime anguish. He braids the plot movement skillfully and intensely. But most of all, he paints with delicate certainty the kinds of love that blossom under threat of war: love for comrades, for vulnerable onlookers, for distant loyalties that may never be rewarded in fact but that thrive in the heart and sustain hope. Again, let me place Downing among some of the others who write this period: He catches the mixed feelings of Germany with more variation than LeCarré's narrative of British Empire's collapse; he weaves tenderness and sacrifice with more gentleness and quite a bit more (ironic) sunshine than Alan Furst; and he summons the forlorn hopes of the Russian Revolution and the early Communist era, embedding it deftly in the magnificence of Russia's mythic and literary past. This period of history is very hard to write with suspense, because we know so much about "what's going to happen," from the end of the war and the death of Adolf Hitler, to the grief of all of Europe in the postwar years, to American renewal out of the ashes of war. Hats off to Downing for making it work. When you've read this one, let me know what you think of the finale, would you please? When the investigator owns a bakery, recipes have a major role in her life -- so it makes perfect sense that Joanne Fluke's newest Hannah Swenson mystery (due out in March), DEVIL'S FOOD CAKE MURDER, is packed with sweet treats. In fact, my count from the review copy is 25 recipes, with their own index! And each one includes suggestions from the character who provides the recipe during the course of Hannah's investigation labors, and from Hannah, and often from her partners and friends who've experimented with it. 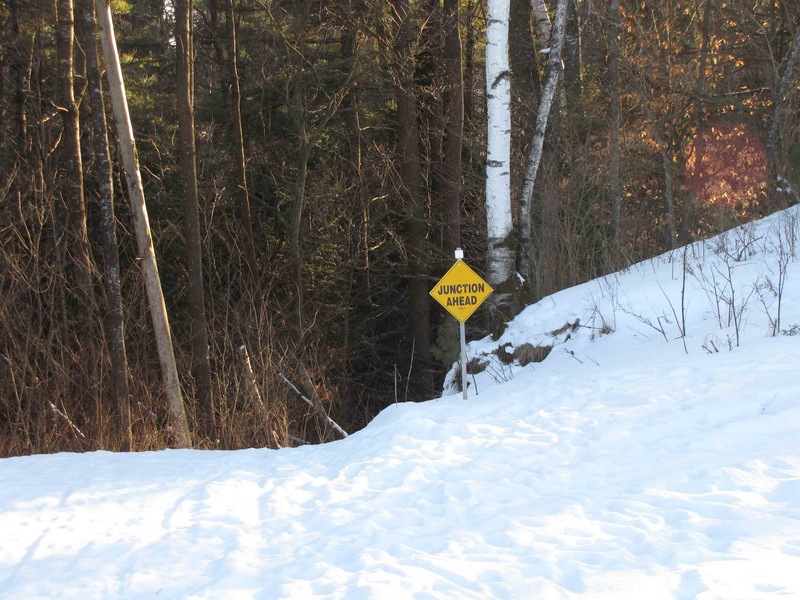 Now, if that doesn't encourage you to take risks and do it your own way, what else could? Some of the recipes extend to four or five or even six pages, with tips on how to combine ingredients, how to substitute when you're out of something, and how to come up with new variations. It's a wonder! That said, I'm glad to say that the murder mystery presenting all these goodies is also yummy. Readers of the series -- and you don't have to have read any of the others before this one, although it will add some color and some explanations to the quandaries -- already know that Hannah is an independent woman, a good businessperson, an adept creator and changer of recipes, and ... torn between two wonderful men in her life. DEVIL'S FOOD MURDER puts that problem front and center, when Hannah begins to realize that both of her swains are also dating the far too adorable "Dr. Bev," a former fiancée of one of the men (Norman). They're blunt about it: When Hannah isn't out with Norman, he's with Bev, and the same thing holds for her police-force date, Mike. It's an odd way for Hannah to finally have to make up her own mind about commitment. And that would be my only criticism of this volume: that Hannah's predicament is more complex and challenging than the murder she's determined to solve, that of a substitute minister who's returned to the area as a favor for an old friend. Also challenging is the behavior of Hannah's cat, Moishe, who may be finding a way to get Hannah's rolled-up socks out of her drawer and up onto the refrigerator each morning! Or could it be that Hannah is so overstressed that she's sleepwalking? All strands come together in the book's finale ... but not everything gets resolved, and it's clear there will be another Hannah Swenson investigation in the near future. It's a quirky way to add to your recipe collection ... but with gems like Death by Caffeine Mocha Trifle, Sally's Apricot Bread, and Chocolate-Covered Raisin Cookies, this book definitely belongs in the kitchen, among all the other tools and weapons available there. Last but not least, this is probably the only mystery author who dares to include a recipe for the cat to enjoy! One caution: Pick up this book, and you'll want to check out the earlier ones, too. It's not just Hannah's complicated life, or her deft digging into criminal activities that affect her friends. It's those recipes! And just to make your stomach growl a little more, Fluke's website now includes an index to the recipes, indicating which ones are in which books. Special added announcement: A cookbook collection is coming out next October, which will sit next to the Nero Wolfe version on my shelf. This morning's time spent browsing through picturebooks for my animal-loving grandson reminded me that I wanted to mention an animal-oriented mystery author: Betty Webb, and her second Gunn Zoo mystery, THE KOALA OF DEATH. If you avoid "animal mysteries" for fear of running into a talking cat, you can still keep this tight, enjoyable murder mystery on your list of books-to-catch-up-with. It was released in summer 2010, and it features Theodora "Teddy" Bentley, a zookeeper with a knack for confronting danger. Most of the time, that's not from the creatures in the zoo exhibits -- but from individuals whose greed and fear (those noted twin motivations) lead them to assume they have the right to kill people who are in their way. The first Teddy Bentley book was The Anteater of Death; Webb is a seasoned author with a wide body of work, and her skill shows right away in this fresh series. should have died with the dinosaurs. Quick perspective: Webb's zoo mysteries are less aimed for laughter than the ones that Donna Andrews writes (nice interview of Andrews here on the Sisters in Crime blog! ), and they won't give you nightmares. On the other hand, if your experience of them is like mine, you'll have trouble holding onto these, because you'll keep thinking of good friends who'd enjoy them. I like especially the dedication to this latest by Marcia Muller, which was released in October: "For all those who came back, And those who waited for them." Surely it's a metaphor for a lot of areas of life beyond the suspense thriller COMING BACK. But for investigator Sharon McCone -- at a quick count on Muller's website, this is her 29th appearance -- coming back is about more than just showing up for work again. In the preceding volume, Locked In, a gunshot wound to the brain imprisoned McCone, without speech, in her own body, unable to control even the simplest movement. It's called Locked In Syndrome, a terrifying consequence of an unbearable attack to the brain and nervous system. And McCone's husband and partner Hy Ripinsky had to round up the team's colleagues to solve the case, without knowing whether his wife would, indeed, return to him in any meaningful way. 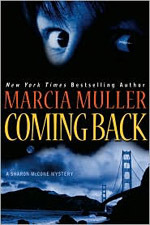 At the opening of COMING BACK, the couple is still in trouble. McCone's ability to speak and move is almost back to normal, although her stamina and confidence are far from healed. The same applied to the marriage, as well as to the investigating firm. Not only does McCone have reason to doubt her capacity -- her employees, in turn overprotective and despairing, aren't treating her like a teammate. Without the links that make this team function, it's vulnerable. More specifically, Sharon is vulnerable -- and through her, so is Hy. The suspense level is intense, almost unbearable, by the time the first few chapters have sped by. Muller's decision to break the book into multiple character viewpoints, switching every few pages, adds to the rough experience -- this is a book that demands reading rapidly, because the risks and damages pile up, not just to Sharon and Hy, but all around them. Muller's expertise is well-honed, and for pure suspense, this mystery will have readers -- dare I say it? -- coming back, and pounding on the door. Inspector Ian Rutledge, as a member of Scotland Yard and, equally importantly, a man who can mingle with the wealthy while empathizing with those trapped on the bottom rungs, is one of the few series detectives who moves from volume to volume without a close partner -- unless you count the voice of Hamish in his mind, as startling and sometimes deafening to him as sounds in the rooms around him, but acknowledged as part of his post-traumatic stress, known at the time as "shell shock." In the newest volume of Rutledge's investigations, son-and-mother author team "Charles Todd" confronts the lonely investigator with a series of inescapable pressures: First there's the complex and brutal set of murders in a seaside town, where Rutledge is expected to handle crossed jurisdictions, social strains, and the usual keeping of secrets that delays identifying a serial murderer. Then there's the always present pain of England's Great War -- the one that crushed its people into poverty and destroyed the hopes and health of so many young men. Third is the imminent death of an old friend of his, a veteran whose lungs are failing from the poisonous gas exposures sustained in battle -- and whose death seems likely to follow, very quickly, the death of another former soldier who has clearly killed himself. Rutledge's pity for these men mingles with his own psychic anguish. And let's add nastiness among his colleagues, and a costly awakening of his own heart. A fascinating point. Rutledge looked at Thompson, reassessing this portly, backwater doctor who had such insight into a killer's mind. Thompson, who must have guessed what Rutledge was thinking, smiled grimly. "I was in the war myself. I know what men are capable of doing to each other. I have no illusions on that score. I also discovered that some of them enjoyed it. That may be what you're facing here, someone who misses the thrill of stalking and killing. Someone who has discovered he can't live without it. Blood lust, Inspector, isn't something only the lower animals experience." When the uneasy balance of stresses goes out of kilter on this case, the inspector must pay with a particularly painful dose of torture himself -- yet even here, Rutledge finds more information to help evaluate the possible roots of the deaths in wartime violence and loss. Charles Todd presents an expertly polished crime novel here, showing that a series really can continue strongly. And if I missed a bit of the intensity of Rutledge's former internal battling with Hamish in A LONELY DEATH, perhaps it's because, in 1920, the war-maimed inspector is coming to grips with his inner demons. Or perhaps they will destroy him completely, as his defenses finally are lowered. Recovering from both the Dec. 27 blizzard and the days set aside to enjoy family visits means I've done way too much "day job" labor this week already. So I'm settling into the new Charles Todd mystery tonight and hope to have something sensible to say about it by tomorrow evening. First, from Dave Zeltserman, who's been redefining modern noir with his (mostly) Boston-area crime fiction: "Last year my novella, Julius Katz won several awards including the Shamus Award. I'm happy to be able to report that my second Julius Katz story, 'Archie's Been Framed', has won first place in Ellery Queen's 2010 Readers Choice Awards." Way to go, DZ! And here's a good way to honor the new year: Stop by Louise Penny's website and sign up for her newsletter, so you'll know about her next book and other great news. Sergeant Ben Kella, a black man firmly rooted in the traditions of his native Solomon Islands (the archipelago northeast of Australia), is the area's senior "indigenous" police officer at a time when the British are considering letting go of their protectorate. That places DEVIL-DEVIL in 1960. Both the expatriates on hand and the Melanesians, the "natives" of the region, reckon time from World War II and the Japanese invasion -- along with the critical battle of Guadalcanal, one of the largest of their islands. And just as Kella is struggling to live down his own reputation for getting into trouble, he stumbles into a morass of "custom" crises around a corpse: the corpse of a white man who disappeared in 1942. It's the second dead body he's dealt with in his first day back on his home island, and sure to mean trouble. Complicating the discovery of the white man's corpse is how Kella finds it: being re-buried by a newly arrived Catholic nun, Sister Conchita, who pays enough attention to native ways and traditions to realize that the chaos erupting locally might be partly calmed if the old bones were quickly re-buried. Unfortunately, the bullet hole in its skull means that Kella can't allow this to happen. And as soon as he intervenes, he and young Sister Conchita become targets of a murderous sharpshooter (with blessedly poor aim). That's the start of a rattling good mystery that teams up these two likeable characters -- Kella with his divided loyalties (in addition to being a police officer, he's a native peacemaker with larger obligations), and Sister Conchita with her instant willingness to take a stand against any apparent injustice, no matter what the cost. And here's even better news: In bringing this book out for February 2011, Soho Crime has announced that it's the start of "the Sister Conchita and Sergeant Kella Series" -- yes!!! 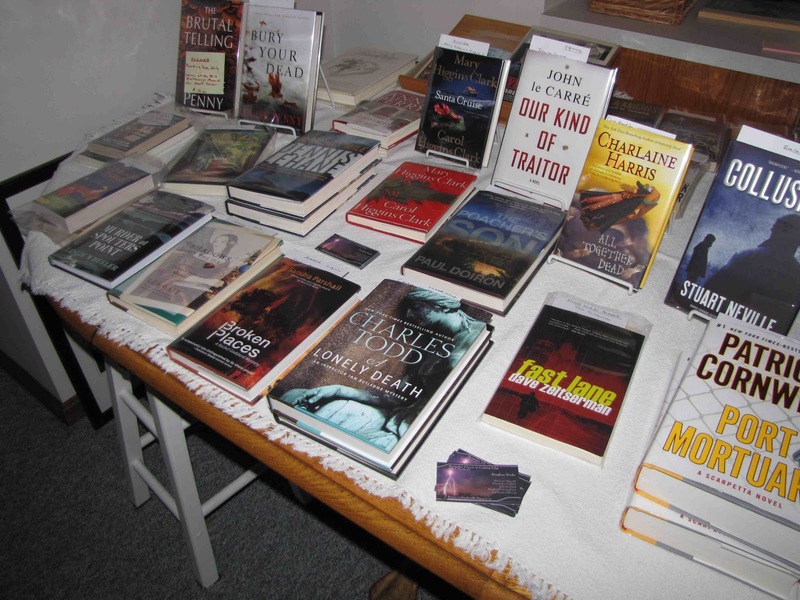 I love the way this publisher gathers up international crime fiction and brings it home to us! I haven't found out a lot about Graeme Kent beyond the basics that the book blurb offers -- he's been a soldier, editor, headmaster, BBC producer, and was head of BBC Schools broadcasting in the Solomon Islands for eight years. A full-time writer since the mid 1990s, Kent is the author of more than sixty books. In fact, one online resource says he's written and edited more than 120! Whatever the final number, he's seasoned and deft with words and plot, providing polished writing with humor, interest, intrigue, and a dash of suspense. It's swiftly clear in this novel that Ben Kella's opposite number, the disturbing bush master of magic Pazabosi, is directing many of the complications, and Kella's hunt for the powerful leader of the island's highland people -- who has already publicly cursed Kella -- will require all his wisdom, knowledge, and luck. Even a sultry schoolteacher who greets him up on the mountain warns him right away about Pazabosi: "He is an evil man who sups with the devil-devils," she says bluntly. Good thing she didn't say it that way to Sister Conchita. It would have been exactly the words the young and rebellious nun required to convince her to seek for Pazabosi herself. 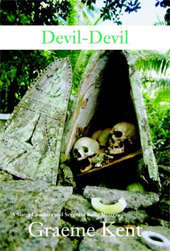 This book gave me a lot of fun, as well as a hunger to know more about the Solomon Islands. And although Kent isn't a native of the region, he gives a convincing portrait of what local tradition entails, as well as of the compromises that the wisest leaders can craft. Mark this one as a keeper. 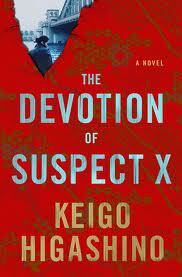 I'm not as convinced about THE DEVOTION OF SUSPECT X, a translation of a novel by Keigo Higashino that won the Naoki Prize for Best Novel -- Japan's equivalent of the National Book Award, says publisher Minotaur Books. The English-language version is scheduled for February 1 release (the original was copyrighted in 2005), and will have plenty of publicity behind it. The thing is, I can't tell whether the original writing is deliberately stiff, among multiple points of view, or whether that's an artifact of the translation. There are some appealing characters here -- a divorced mom named Yasuko who'll do nearly anything to protect her young daughter, and a persistent detective, Manibu Yukawa, who knows when he's being deceived, even if he can't immediately figure out what the real story is behind the death of Yasuko's abusive former husband. But the stiff control exerted by Yasuko's neighbor Ishigami, who's besotted with her, makes it hard to find a comfortable position as reader. With whom should we identify? Detective Yukawa is the most likeable, but his role is so much smaller that Yasuko's and Ishigami's that there's no easy position here. Nor do the voices of the characters differ among each other significantly -- and here again, I suspect the translation of failing us. There are some great plot twists in store, and a surprise ending that performs the twist of a final line of a good haiku. But is it great fiction? I'm not convinced. Nonetheless, it's worth taking a look at this new arrival. As we all access more translations of crime fiction from multiple cultures and languages, each book adds to our experience, and our ability to form considered opinions about how our global interactions can best proceed.